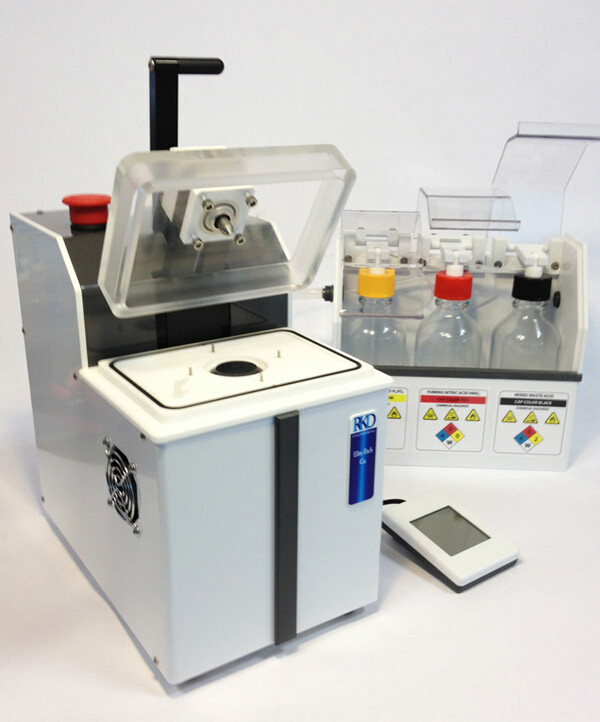 The Elite Etch-Cu from RKD engineering is an Automated Mixed Acid Decapsulator, with advanced feature integration to enable high productivity. The Decapsulator rapidly and easily opens even the most delicate packages by delivering precise, micro-aliquots of nitric, sulfuric, or acid mixes to package with no sample damage. The delivery of each micro-aliquot is done with sufficient pressure to create extreme turbulence in the etched cavity that greatly accelerates the rate of encapsulant removal. 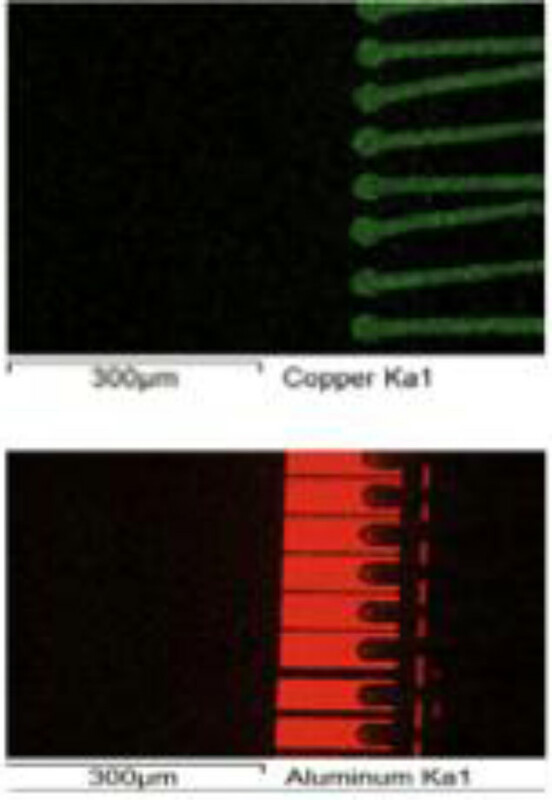 Very low, precise acid temperatures, combined with high micro-aliquot delivery rates allow for the decapsulation of copper wired devices with no wire of metallization damage. An exclusive acid delivery function can be selected that delivers the highest pulse rate possible while consuming less than maximum acid volume. The specially designed acid heat exchanger can accurately control acid termperature down to 15°C and up to 250°C, with flow rates to 8ml per minute. The high acid pulse rates achieve reasonable etch times even at the lowest temperatures. The Elite Etch operates at temperatures up to 250°C enabling operational versatility with any combination of acids. The device hold down assembly (ram nose) is pneumatically activated and is designed for a large amount of travel. The ram nose is normally retracted and only extends after the safety cover is fully closed. The vertical movement of the ram nose secures the device to the etch head thus eliminating movement of either the package or its fixturing. The Bottle Box Assembly and the Etcher Unit contain fluid sensors to operator in the unlikely event of an acid leak from any of the bottles of internal fittings. Bottle exchange on any decapsulator includes possible risk to the operator. To minimize this RK incorporates a universal pivoting interconnect that allows simple and trouble free bottle exchange with minimal exposure to residual acid.